I’ve always loved 7s rugby. The quickness, the skill, the open field, all of it. In my years of collegiate rugby, we always ended our fall 15s season with the Cianci 7s tournament; a great way to get amped for the coming spring sevens. It was a cold day in November. I was looking forward to spending the day with my team and taking my mind off the hecticness of senior year. I braved myself for the cold as I got out of my warm clothes and into my athletic uniform. Sweatpants off, rugby shorts on; sandals off, compression calf sleeve and knee highs on; boots off, cleats on. Was ready to go! The first game was “quick” in the sense that sevens is: 14 minutes of sprinting. Second game came and went. We were doing well. Winning each game and doing our best. We were ready for our third game, had our hands down and we’re getting good tackles in. I had scored a few times in the first games and was ready to receive the ball and score again. I got my break in the second half of our third game. I received the ball, found a hole in the defense and started sprinting towards the try line. I was almost there when I met with their fullback. A quick step and I was around her but she kept with me and as I went to touch the ball down she went to hold it up. Her body landed on the outside of my knee. I heard the dreadful pop that only comes when you know you’re hurt. My teammate’s father helped me limp off the field, refusing any more help than that, refusing to admit I was hurt. I saw the EMT on staff who said that, due to the compression sock I was wearing, I put too much stress on my knee and probably sprained my MCL. He taped my knee up as best he could and gave me ice. I iced for a little and attempted the warm up. Start off with small jumps facing backwards, turn, and sprint. I was forced into reality when I tried to turn and collapsed. Per order of my coach and teammates, the rest of the tournament was spent watching my team get second with my knee on a rucking pad. I left the tournament, drove the two hours to my hometown, and got an MRI. Results showed a torn ACL and a slight tear in my meniscus. My collegiate rugby career was stopped in it’s tracks. I spent the remainder of the year rehabbing and cheering my team on from the sideline. I had to relearn how to walk, squat, run. Strengthening all the muscles back up in my leg that had atrophied in my brace. I yearned to get back on the pitch. 502 days later I stepped onto the pitch for my first time playing rugby again. I am now a back for Charles River Rugby. Tearing my ACL gave me new insight to my need for sports in my life and gave me the determination to always do what I can to be the best I can be. 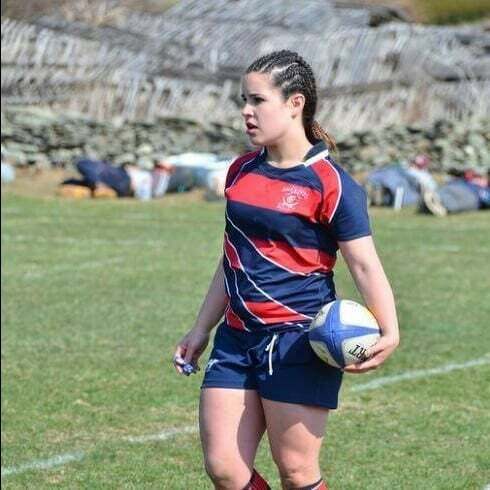 Without tearing my ACL, I wouldn’t be the rugger I am today.